In the theory of ordinary differential equations much work is devoted to the study of stability of solutions with respect to small perturbations of the initial conditions or of the right side of an equation. 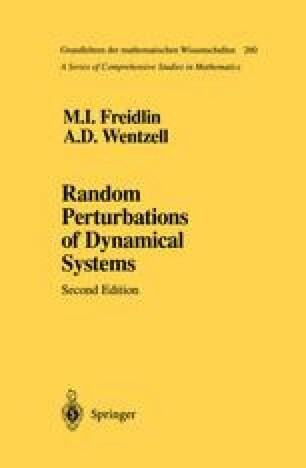 In this chapter we consider some problems concerning stability under random perturbations. First we recall the basic notions of classical stability theory.